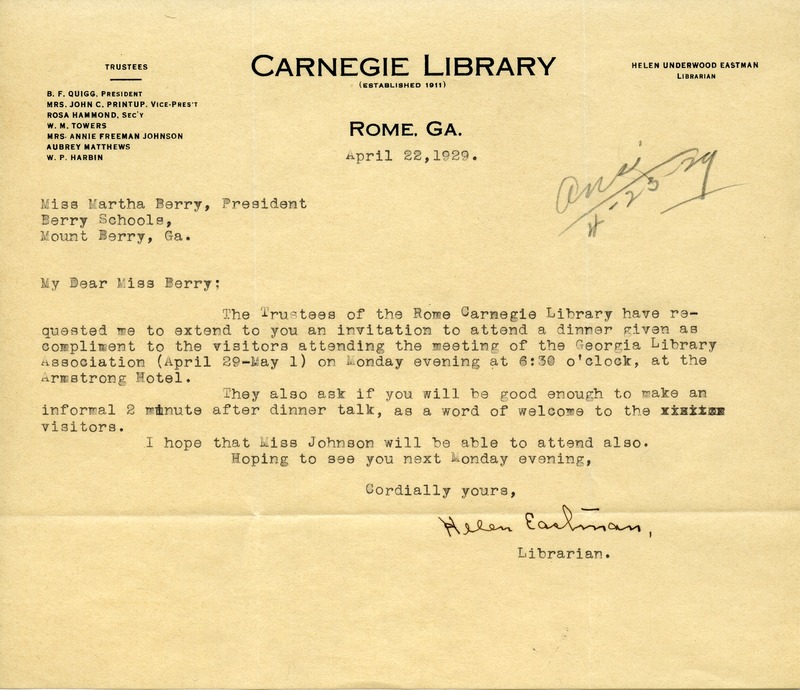 Helen Eastman, the librarian at the Carnegie Library in Rome, Georgia, invites Miss Berry to a dinner at the meeting of the Georgia Library Association and asks her to speak. Helen Eastman, “Letter to Martha Berry from Helen Eastman.” Martha Berry Digital Archive. Eds. Schlitz, Stephanie A., Chelsea Risley, et al. Mount Berry: Berry College, 2012. accessed April 19, 2019, https://mbda.berry.edu/items/show/9726.